We are now selling lottery calendars for 2019!! Frederick County Box 9-9. 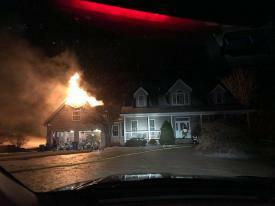 At 00:06hrs, Station 8 units were dispatched for a House Fire in the 13000 block of Good Intent Road in Frederick County. First arriving units (Engine 81) found fire through the roof of an attached garage/in-law suite. Everyone had evacuated the home prior to the arrival of fire crews. FC Box 17-09. 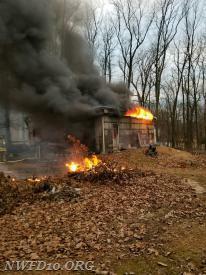 At around 16:30hrs, Engine 81 and Engine/Tanker 84 were dispatched mutual-aid to Frederick County for a barn fire in the 10000 block of Bessie Clemson Road. 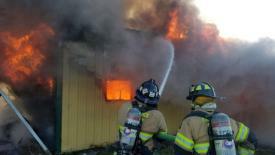 On arrival, units found a barn fire that was about 70% involved with horses still inside. 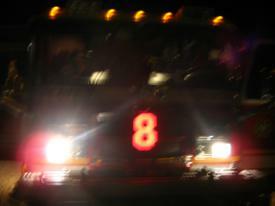 Crews from Station 8 and FC 9 did an offensive attack. A water supply was obtained from a nearby pond. The Union Bridge Fire Company sadly announces the passing of Lifetime Member D. Leroy Stitley. 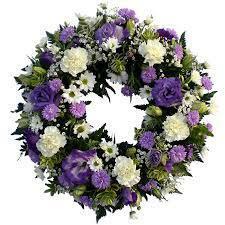 The following is his obituary. Frederick County Box 9-4. At 17:36hrs, Station 8 units were alerted to assist Frederick County DFRS units on a House Fire in the 11000 block of Renner Road. 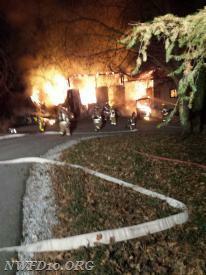 While enroute, first arriving units advised they had a large house, 95% involved with one vehicle in the driveway. Box 10-04. At 19:52hrs, Engine 81 and Engine/Tanker 84 were dispatched to assist New Windsor for a Barn Fire in the 3400 block of Uniontown Road. Units from Taneytown and Pleasant Valley were also dispatched to assist. While enroute, units were advised by "Carroll" that several 911 calls had been received. Frederick County Box 9-9. 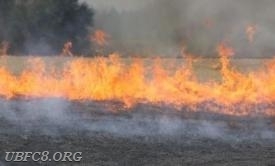 At 12:04 hrs, Station 8 units responded to a field fire in the 11000 block of Houck Road. First arriving Chief 8 (Green) reported a working field fire as Brush 85 began extinguishment. Chief 8 requested an additional Brush Unit and Utility 10-1 who was in the area also assisted. Crews worked for about 45 minutes to completely extinguish the fire. Frederick County Box 9-1: At 20:59 hrs, Engine 81, Engine/Tanker 84 and Rescue Squad 8 were dispatched as part of the first alarm assignment, for a House Fire in the 12000 block of Legore Road in New Midway. 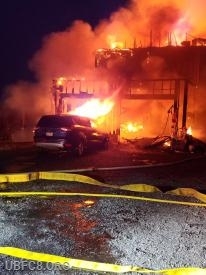 First arriving units reported heavy fire showing and FC Engine 161 began a quick attack on the fire. 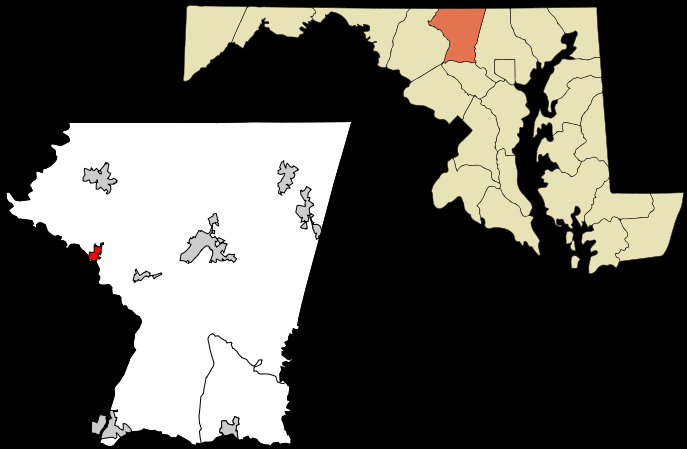 Union Bridge is located in Carroll County, Maryland. Google Maps, click on the image below. The members of the Union Bridge Fire Company would like to thank the men and women of the United States Armed Forces for their bravery, service and sacrifice by putting themselves into harms way to fight terrorism and to protect our freedom. For that, we are greatful.